Go Girl, Go For IT is the entry point for young girls to be involved in the Victorian ICT for Women network that has the purpose to support and empower women into leadership roles in IT. My agenda is to see Australia have access to a more balanced and diverse workforce to ensure we have an IT industry in the future. I am a passionate advocate of equal opportunity having grown up in South Africa at a time when minority groups were privileged and an overwhelming proportion of the general population was discriminated against. Raised by parents who were ‘gender blind’, she feels passionate about gender diversity and equality. Louiza has been working in the IT industry for over 12 years and is frequently the only woman in the meeting room. She is strongly committed to being part of the solution, raising awareness within the workforce and amongst her social groups. She is an enthusiastic innovator and problem solver and enjoys the challenge of finding solutions to new problems. Louiza spends her spare time participating in fitness activities such as going to the gym, cycling, hiking, running and anything else fun and/or challenging which comes her way. Louiza is also the co-owner of TripFit Adventures, a company which takes Melbournians and visitors out on fun, active days around Melbourne and surrounds. Kira has been in the design industry for over 12 years. She has also worked as a hybrid marketing-design professional for eight of those years across the Finance, Government and Creative industries. For her day job, Kira creates validated designs for websites, mobile apps and customer experiences that are user-friendly as well as beautiful. Kira has been involved in Go Girl since November 2017 within the communications stream. Sara is the University of Melbourne Research Data Service Manager. She helped successfully deliver the first cloud computing service for researchers in Australia, and has managed several eResearch Infrastructure projects related to high performance computing, storage, and data management and analysis platforms. Sara started her career as a neuroscience researcher but moved to IT when she moved to Australia in 2009. Sara has been involved with the Go Girl team since 2014 as the Communications lead for the 2014 and 2016 events and is now passing the baton to Nat and Lou as the new Communications co-leads for the 2018 event. She is a Board member of the Vic ICT for Women and is the lead for the Grad Girls program. Associate Board Member for Vic ICT for Women. Amani is a cyber security professional and a senior scientific researcher and academic at Deakin University. She is leading the cyber security research discipline at Deakin's Software and Technology Innovation Lab (DSTIL). Dr Ibrahim is also leading industry engagement at the Cyber Security Research and Innovation (CSRI) Centre. Dr Ibrahim is an outstanding early career researcher with a strong publications record. She has been working on many successful R&D projects with different industry partners nationally and internationally. Amani holds a PhD and MSc degrees in cyber security, in addition to several industrial certifications including CEH, CCNP, CCANS, CCNA and CCAI. Amani worked on the Facilities stream for the 2016 Go Girl program so she is excited to lead the Facilities stream for the upcoming 2018 Go Girl program. Lyn has worked in ICT for over 20 years in both public and private sectors. Starting her career as a software developer Lyn then moved into management roles. These roles have given her the opportunity to live and work in a number of different countries and experience their diverse cultures and lifestyles. Lyn also considers herself fortunate to have been able to mentor a number of others and assist them with progressing their careers in ICT. Her ICT career has given Lyn the opportunity to hold a number of voluntary roles which have required her to work with peers in different countries. These include working with the ISO to develop a standard for Societal Security, and for the Project Management Institute as a Board member and a member of a team developing a globally recognised Project Management Standard. Lyn currently holds 2 voluntary roles within the Project Management community. Nahla is an experienced, energetic and reliable senior professional who has a sound work ethic and a commitment to on-going development. She has a consultative and pro-active approach, and is highly regarded as someone who demonstrates initiative and effectively achieves the required outcomes. She has a sound knowledge of Project Management, WH&S, comprehensive business process analysis and improvement background. Her career has given her exposure to a variety of project management methodologies and undertaking projects that spanned across business areas has provided her with a robust skill-set to facilitate the successful delivery of projects. Nahla is passionate about women and girl empowerment, and is the founder of ‘women in light’ group that aims at empowering diverse women in her community. Dan Vucic (BMIS, PMP, PRINCE2, AgilePM) is IT professional with over 16 years of success across various levels of ICT industry. He is currently responsible for the implementation of Skype for Business, video conferencing and collaboration solutions for various clients Australia and worldwide including Jetstar Airways, Viva Energy (formally Shell), Tabcorp and many others. Dan also managed and delivered Information Technology projects necessary to drive improvement across the business including migration to Azure Cloud, Office365, MPLS networks, upgrade of business critical applications like MS Dynamics AX2012 as well as desktop and laptop upgrades from Windows 7 to Windows 10. Dan is grateful for an opportunity to work on a program that is assisting new talent to enter the IT industry. Megan is currently an educator based at Good News Lutheran College in both Music and Digital Technologies in the Middle/Senior Years. She has been consulting on technology for education for the past 12 years and has been operating her business ‘Tech Coach HQ’ for the past 4 years as a ‘Digital Coach’ working with corporate, SMEs and educators. Megan is passionate about empowering women to develop their digital literacy skills which is why she volunteered three years ago as a Mentor with VIC ICT for Women. She also participated in the #BoldMoves program last year with Vic ICT for Women. Megan is leading the Schools Liaison Team (with the educator hat on) as she is passionate about seeing girls develop their ICT skills and have opportunities in the digital space. Jo works with organisations to develop leadership capability in organisational change and transformation, communications and event management, human resources and employee relations and strategic governance and capacity planning. 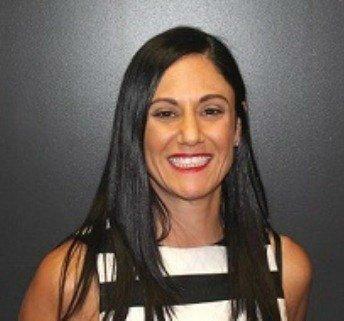 Currently Organisational Change Lead for AGL's Customer Experience Transformation, Jo's focus is building sustainable organisational change; creating a customer focused, digital culture and providing leaders with the knowledge and tools to create a resilient and change capable workforce where people can thrive. Jo is also an experienced Board professional, contributing to the role of the social sector in achieving good outcomes in early childhood, school and vocational education. Belinda has extensive experience in a number of roles both within the technology and projects industry and out. Having a varied resume of roles, she has realised that having a technology degree and background has given her the foundation to do so much in and out of the industry and has experience in B2B development, change management, network planning, health and safety, consulting, business analysis, as well as events management. Growing up being the only girl in her IT classes, she realised early on that diversity was not the norm for the industry and is passionate about equal opportunity and breaking barriers. She has been involved with Go Girl Go for IT since 2008, and has since led the 2016 Trade Show team, is now the 2018 stream lead for 2 teams: Volunteer Management and the Thank You Event. Natalie is a Scrum Master at her core, responsible for making sure a Scrum team lives by the value and practices of Scrum. She is always looking for the next opportunity to improve and then improve again, coaching many on how to involve continuous improvement on their journey. Currently Delivery Lead for a scrum team in Travelport Locomote's Melbourne office, Natalie's focus is on helping the team do their best work as the company's development team expand in Europe. She continues to support women in technology through many avenues to hopefully one day no longer be the only girl studying IT or the only girl in the development team, as she has encountered this too often. Natalie was the Survey coordinator/writer within the Trade Show committee for the 2016 Go Girl, Go for IT event and is the Volunteer Deputy for 2018. Kristie is an Agile Business Analyst at MYOB working on online invoicing for Small and Medium Enterprise customers. She has worked in a number of different roles in the IT industry for industries such as Mining, Professional Services and Finance. She is passionate about encouraging more women to consider the IT sector as a career and demystifying the various roles available in IT. Kristie was the Competitions liaison within the Trade Show committee for the 2016 Go Girl, Go for IT event and is the Thank You Event Deputy for 2018.